Thanksgiving is about sharing a meal and giving thanks. 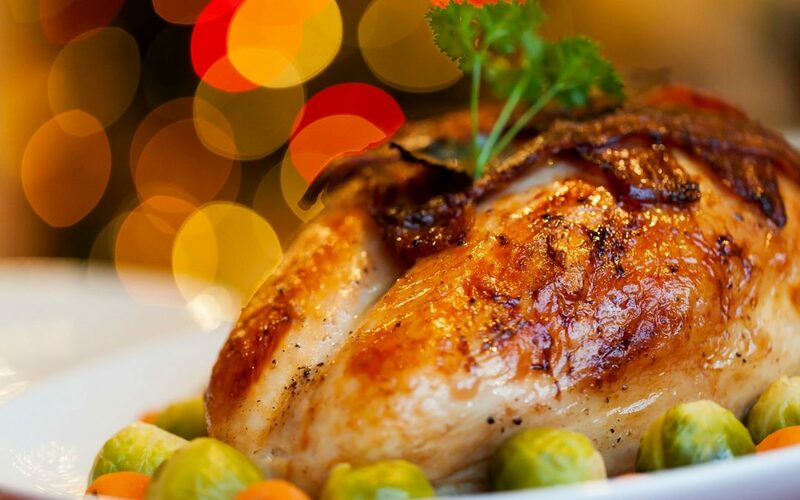 Your wood-fired oven is the ideal solution for making the perfect turkey. This simple yet delicious recipe is definitely worth trying. Line the roasting tray with aluminum foil. Ensure that it is long enough to wrap over the turkey. Season turkey with salt and black pepper. For the rub,mix the butter, maple syrup and herbs together. Rub down the turkey with the mixture. Stuff the turkey with the onion and apple. Wrap the turkey with bacon, overlap strips to seal in the moisture. Ensure the entire turkey is covered. Pour water to cover the bottom of the roasting tray. Regulate your wood-fired oven to a temperature of 500-600 F degrees. Brown the outside skin of the turkey for 15 minutes uncovered. Stick a probe into the thickest part of the turkey to measure the temperature and ensure the turkey is cooked to perfection. Allow the turkey to rest for 15 minutes before slicing. Subscribe to “A Slice of Life”, for more great tips and recipes. We promise to only send you useful and interesting information! We are a manufacturer of authentic wood-fired ovens that we deliver to your home in a ready-to-assemble kit. Belforno ovens are designed in the Italian tradition using only the finest refractory ceramic materials to hold heat for long periods of time and provide superior cooking results. Contact us for more information.